The key to balance and harmony within your body and mind is having clear and positive energy flowing freely through your seven chakras. 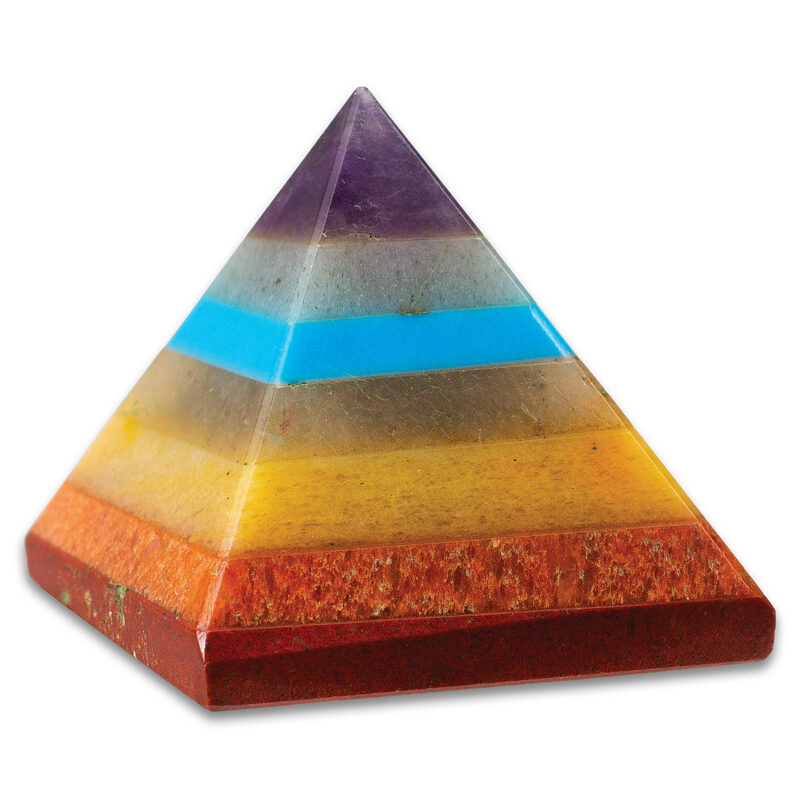 This mini pyramid will add beauty and balance to your home or office. Our Chakra Bonded Pyramid With Turquoise contains seven different gemstones bonded together so that the energy from them is magnified, especially, in the form of a sacred pyramid. It is crafted of genuine amethyst, blue aventurine, turquoise, green aventurine, yellow jasper, peach aventurine and red jasper. Get rid of unwanted, negative energy and regain your balance!